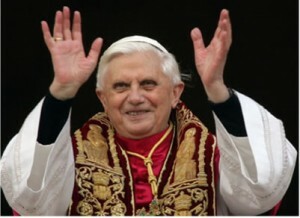 It is time to admit that the gay community has a gigantic Pope problem. 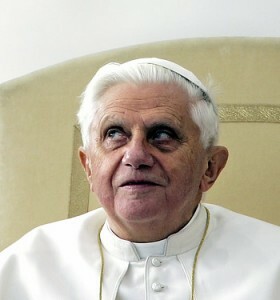 Under the leadership of Benedict XVI, the Vatican has become an implacable foe of liberalism, modernity and basic rights for gay, lesbian, bisexual and transgender people. Rome has eagerly jumped with both feet into America’ culture wars and is working on a global scale to punish or purge ideological dissenters within the church. This aggressive activism presents a formidable new front in the fight for parity — one with considerable political clout and financial resources. Last week, a coalition of totalitarian religious activists and radical clerics joined forces to unveil the “Manhattan Declaration” at Washington’ National Press Club. This rambling manifesto, written by former Watergate felon Chuck Colson, called for “Christians” to disobey laws they didn’t fancy and to ignore civil rights laws that protected GLBT people from discrimination. It was a dishonest document filled with historical revisionism that promoted theocracy, encouraged anarchy and supported the dissolution of the rule of law. It falsely portrayed right wing Christians as victims, even as they pledged to work tirelessly to deny equality to those who would not adhere to their sectarian church rules. An extreme manifesto of such breathtaking cynicism and insincerity is no surprise coming from what passes for “leaders” in today’ evangelical circles. It was striking, however, that more than 15 key American Catholic leaders signed on to the “Manhattan Declaration”. Signatories included heavyweights such as Timothy Dolan, Archbishop of New York and Donald Wuerl, Archbishop of Washington, DC. This was clearly a call to arms and a powerful signal that the Roman Catholic Church is taking the gloves off to fight political battles in America. This hands-on involvement from Rome has passed the “trend” stage and appears to be official policy. Consider the significant involvement the Catholic Church had in stripping marriage rights away from GLBT couples in a Maine referendum held earlier this month. Earlier this month, Providence Bishop Thomas Tobin put the clamp on Rep. Patrick Kennedy (D-R.I.), banning the lawmaker from communion because he is pro-choice. This was reminiscent of The St. Louis Archbishop refusing to give communion to John Kerry during his presidential campaign. In fighting back, we must remember that the Vatican is launching these attacks from a position of weakness. It has yet to recover its moral authority from public exposure of rampant child sexual abuse scandals that cost the Church billions of dollars in legal settlements. Instead of competing against the conservative evangelical brand, Pope Benedict has decided to embrace it, shaping a conspicuously political Catholicism that embraces extremism and drives out dissenters. The Vatican has become so doctrinaire that it recently launched an invasive probe into the lives of America’s 60,000 nuns to enforce anachronistic rules. In January, Benedict welcomed back excommunicated Bishop Richard Williamson who denied that millions of Jews died in Nazi death camps.